Spread Pick: Maccabi with handicap -9.5 at 1.90 Over/Under: Over 157.5 1.90 Bet Now! The reigning champions are looking to clinch a couple of major milestones in this match. 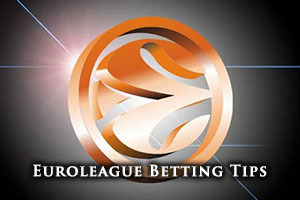 If they are able to defeat their German opponents, it will be their tenth victory in a row over Alba Berlin, a fact that is sure to be of note to people looking to place a bet on the Euroleague game. Maccabi are also looking to win their sixth Top 16 game in a row, and if they manage to do so, you can imagine that they will be looking towards defending their crown later on in the campaign. This is the third time the two teams have met this campaign and of course, the run that Maccabi are on in the fixture history means that the Israeli side triumphed in both of these clashes. With home advantage, Maccabi will be feeling highly confident about this one and Alba will need to play at the top of their capabilities if they are going to pull off a result in this one. Maccabi hold a 5-1 record in the Top 16, allowing to sit at the top of the group alongside Real Madrid, and with a 7-3 status in the regular season, the reigning champions have a 12-4 record in their overall 2014/15 Euroleague campaign. 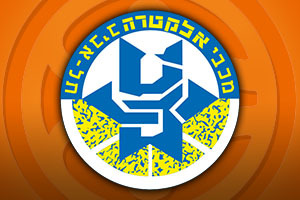 Maccabi have scored an average of 80.1 points in this campaign. Devin Smith is a key man for Maccabi, helping himself to an average of 15.9 points per game and an average of 6.7 assists per game. Jeremy Pargo has provided an average of 6 assists per game, and he will be a key player in this game if he finds form. With a 17-2 record, Maccabi Electra are at the top of the Winner League and in their most recent game, they defeated Maccabi Haifa by a score of 74-70. Alba Berlin have a 2-4 record in the Top 16 so far, and having achieved a 4-6 in the regular season, they hold a 6-10 in their Euroleague campaign for the season. This means that Alba have won half the Euroleague games that Maccabi have won this campaign, which indicates the size of the task facing the German side. Alba have grabbed an average of 73.0 points per game in this campaign, a total considerably lower than their Israeli rivals. Jamel McLean is likely to be the key player for Alba in this game. McLean has notched an average of 13.8 points per game and an average of 5.4 rebounds per game. Alex Renfroe has also been in fine form, providing an average of 4.8 assists per game. With a 19-2 record, Alba are at the top of the BBL League so at least their domestic form is fine. However, their most recent game was an OT defeat to Fraport SKY, losing out 87-80. Taking Maccabi with a -9.5 handicap, at odds of 1.90 is likely to be a sensible bet for Thursday night. For the Over/Under market, going Over 157.5, at odds of 1.90, should be of interest. These bets can be found at Bet365. Bet Now!